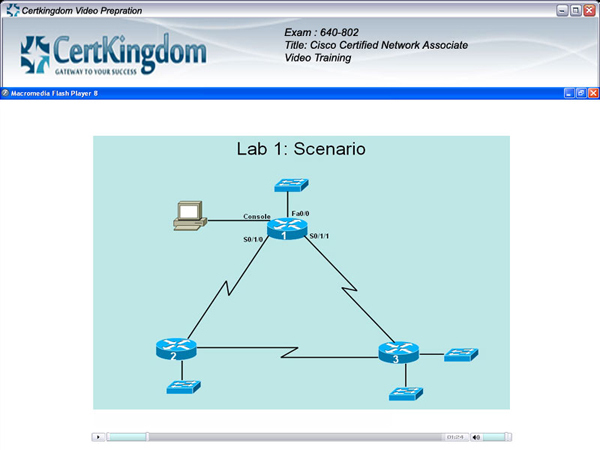 Prepare with yourself how Cert Kingdom Q & A with Explanation makes you feel like you're actually taking the exams, and Judge yourself how best your are before taking the real test. Download a sample Q&A below. Check out our sample Study Guides in a new PDF format. See for yourself how they perfectly complement our Q&A products. Download a sample Study Guide below. 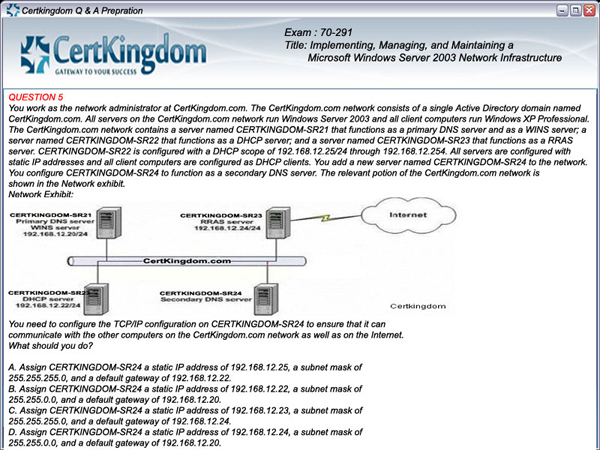 Certkingdom Preparation Labs and Scenarios place you in the position to virtually solve real-world problems. 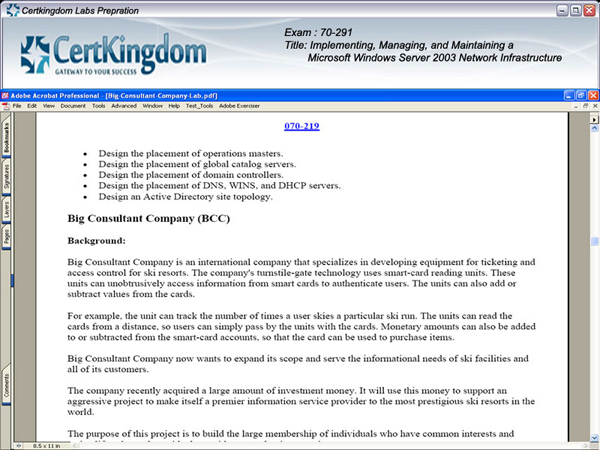 Perfectly compliments the Certkingdom Labs Preparation series. A perfect follow-up to either the Certkingdom Study Guide or any of the complete Questions and Answers with Exam Simulator. Take your training on the go with take-with-you MP3 files! Watch our free videos to see the easy to follow, content driven style that sets Certkingdom apart in IT training.